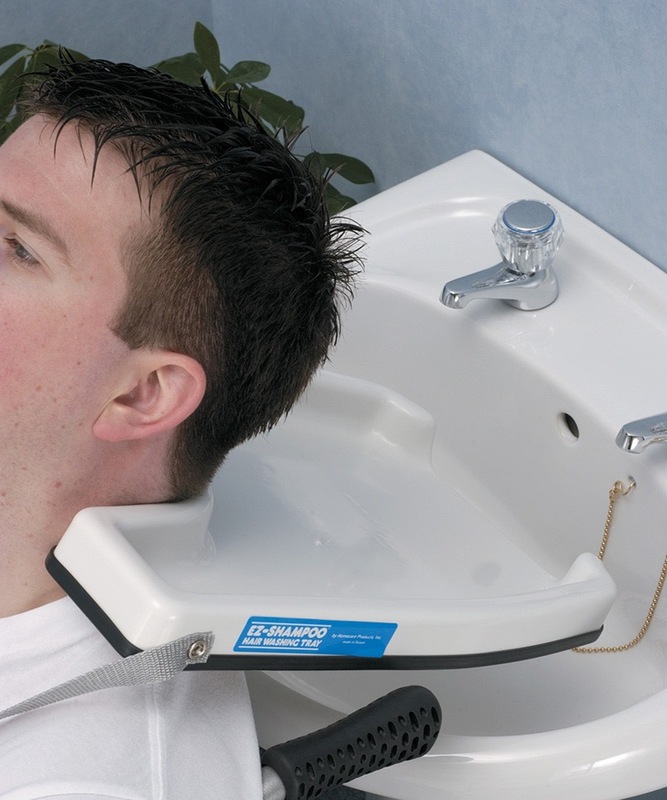 This unique Deluxe Hair Washing Tray is a flexible surround that prevents slipping and provides comfort, this hair washing tray rests comfortably on the shoulders to enable upright shampooing. 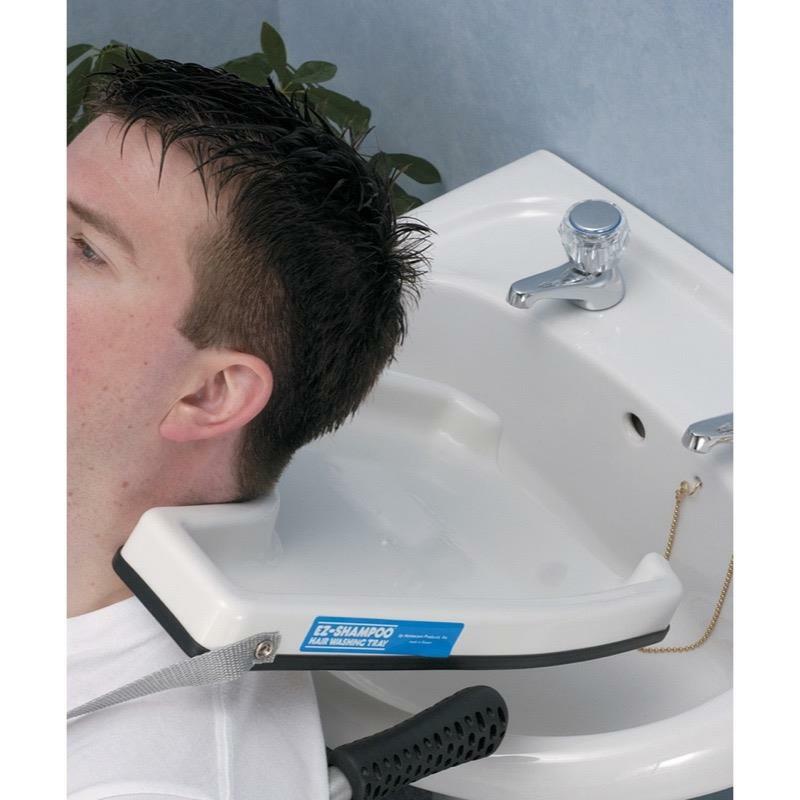 This unique Deluxe Hair Washing Tray is a flexible surround that prevents slipping and provides comfort, this hair washing tray rests comfortably on the shoulders to enable upright shampooing. Easy to secure in place via a strap around the user's arm.